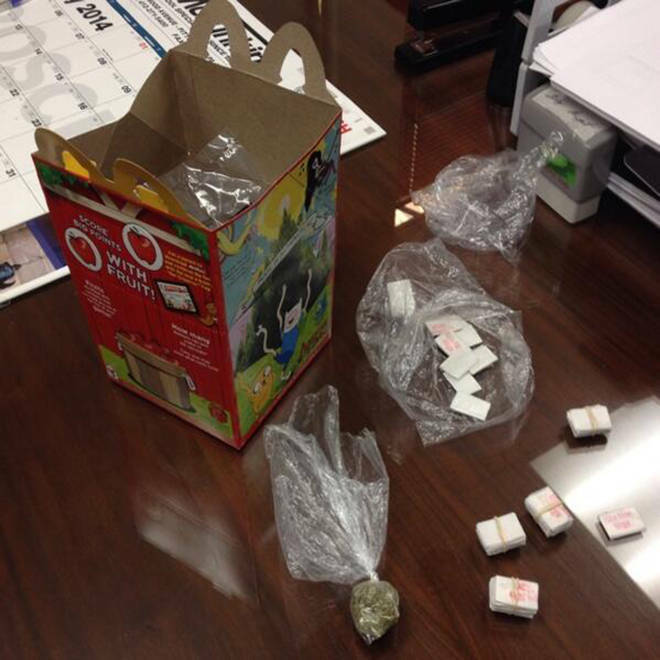 Police says heroin was sold in a McDonald's Happy Meal at a Pittsburgh-area store. A McDonald’s worker is accused of putting a little extra something in Happy Meals sold at a Pittsburgh drive-through: heroin. Police said they arrested the 26-year-old woman Wednesday after buying the drugs at a McDonald’s in the East Liberty neighborhood, NBC station WPXI of Pittsburgh reported. The customer would then stop at the first window, pay and get a Happy Meal box containing heroin in small bags. The customer would leave without stopping at the second window. Detectives said they did just that, and arrested Shania Dennis of East Pittsburgh. The DA’s office said detectives got 10 bags of heroin in the Happy Meal box and found Dennis with 50 more. The station reported that it was unclear whether this case is related to the arrest earlier this month of another McDonald’s worker accused of selling heroin in a restaurant parking lot in Murrysville, Pa.